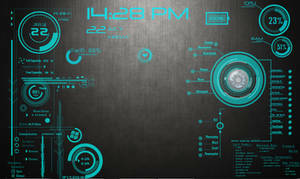 My first attempt at using Rainmeter to customize my multi-monitor setup. 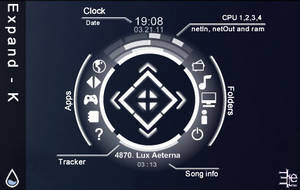 Getting inspiration from other member screenshots, wallpapers, and Rainmeter skins, made creating this theme so much fun. 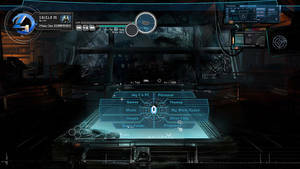 Got a very busy work week, if there are a lot of request for this layout for Rainmeter, I'll try to sort out all the skins and wallpapers I created using the AMAZING graphics by Jayse Henson as a base for everything. There are a lot of animated parts to this skin, I hope you enjoy this. 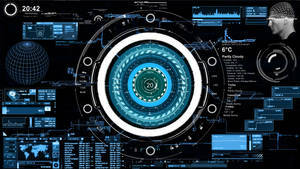 IMPORTANT: I used the free version of Advanced Wallpaper Management by Display Fusion ([link]) to manage separate wallpaper backgrounds for each display. 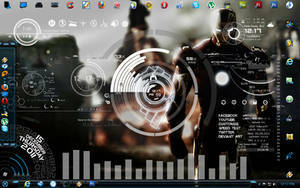 Could I please download your Rainmeter S.H.I.E.L.D + J.A.R.V.I.S + Avengers Theme. None of your links actually present a download, or am I doing something wrong? not able to download this skin! the download button gives jpeg image file? 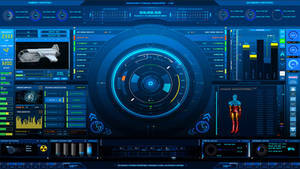 how to use this theme in windows 7 32 bit operating system ? Looking forward to individual themes. 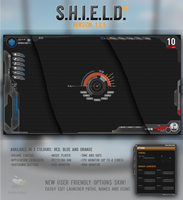 How to make my own S.H.I.E.L.D tag? please, i love it, how do I download it?? Add one more person to those interested in a single-display package of these skins. Excellent work! 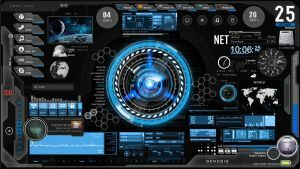 How did you make the System, network, and disk from illistro transparent? You are so talented. Ur work always impresses me! 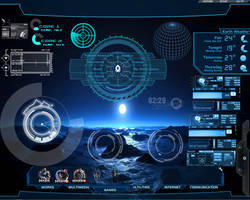 like Saint1121 are you interested in the multimonitor setup or a single display. 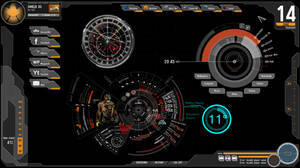 If I don't get a response from the rainmeter guys on how to package this for your 3 monitor setup I'll deactivate the top HUD which only has the clock skin on there and run the new create rmskin in v2.3 and you can test it out for me. I was going crazy looking for that button in v2.2 over the past weekend. I'll keep you posted. The Theme doesn't work. 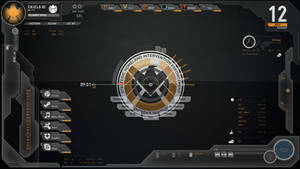 I had the original Shield Rainmeter, before you released yours and when I apply the theme it sets everything from that up, I tried getting rid of that folder and having just yours, and it doesn't apply anything. I also tried loading everything first, thinking that it had to all be on the desktop, but I got the same results, screen became empty again. I'm going to load everything and manually put it into place to make sure everything loads correctly and works correctly on other computers. I'll upload that picture once I'm done. Thanks for that info yeah I reuploaded a bigger file selecting the minimum requirements are for XP because it wasnt loading on my 3 monitor vista machine. I ran the rmskin and nothing loaded. Just the folder. 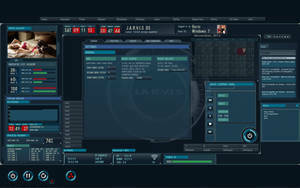 Try going into the Avengers folder under Border choose border.ini for the 1920x1080 settings. 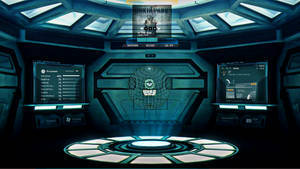 I did try deleting my skins folder, to start fresh, then downloaded the rmskin from DA and the theme loaded automatically with all the right coordinates based on the wallpaper layouts. Yeah I had the 1920X1080 border already chosen, kind of strange that it didn't load for me. Like I said I manually loaded everything and set everything up, so I'm a little nervous to try and load the theme again even though everything saves its position. Like I told you, I'm on a time constraint, but here's the SS of everything working just find manually placed. I noticed the drives don't pick up SSDs, which is why I only have the C and D drives loaded. Obviously I haven't had time to change the shortcuts or the shield tag, so as of right now I have a picture of you on my desktop, haha. 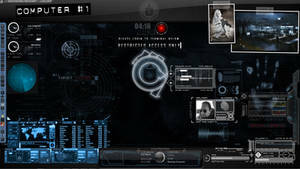 it's look very nice i hope you will release it for download soon!!!!!! Working on it, I wanted to make sure that I give proper credit to everyone and their original creations that I used to create my customization.